Social media is the ultimate equalizer. It gives a voice and a platform to anyone willing to engage- Amy Jo Martin. In this post, I will show you the 6 tips to grow your business using social media. The current world market has proven outrightly that the power of social media cannot be underestimated in the growth of business. It is either your business is on social media, or it is on social media! Either as an entrepreneur or a public or private limited company, the success of your business is commensurate to your strong online presence since it creates numerous opportunities although it doesn’t guarantee success. No other word could have been more correct than to describe the “social media” as an essential marketing and communications platform that no business or established company can afford to ignore. If you’re wondering how you can grow your business using social media, we have complied a few guidelines to serve as a guide. The potential impact of using social media is limitless due to the number of people that can be reached. It is pertinent that you maintain an account across all platforms like Twitter, Facebook, WhatsApp, LinkedIn, Instagram, YouTube, Pinterest to share or advertise your products across. Facebook alone records 16 million active users in Nigeria and about 7.2 million people in Nigeria visit Facebook each day. Little wonder Facebook is the largest social networking company. 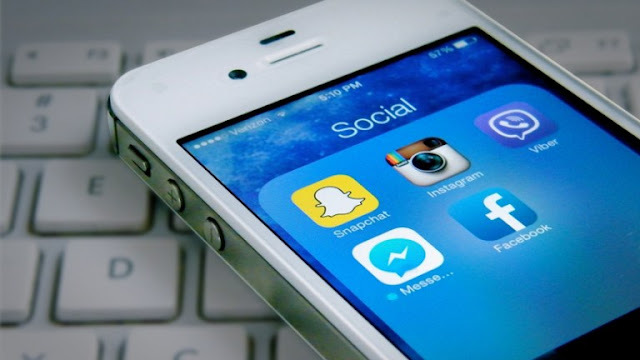 According to Statista, a leading statistics company on the internet, as at last year, Facebook’s monthly active users reached 1.55 billion; WhatsApp has over 900 million users, while Instagram boast of over 400 million users. The above mentioned social media platforms present you the opportunity it advertise to friends, colleagues, friends-of-friends and even people you have never met by posting either photos of your products or using hashtag. The most interesting feature about using the social media for your business is the ability for you to track people’s impression about your product or your business from their comments, likes, and smileys. To ensure your business growth on social media platforms, there must be consistency in your posts, images and messages, and usage of the various social media platforms. It is apt to note that not all social media platform will be suitable for your business and customers. Once you have successfully kept your followers on the tip of their seats by your frequent post and the very moment you begin to lag in your post of messages, updates, and images, the interest from followers will deteriorate. It is therefore advisable that you develop plans on your daily post, how often you are going to post it, and finally, be consistent. Having gained followers and much likes, your post content must align with the message you want to pass across. Your post must fit within your brand identity and promotes what you are showcasing to the world. To effectively do this, there is a need to hire a competent social media manger. Since your focus is on business, you need a creative writer to put up creative marketing content, event calendar, research, engage with brand advocates as well as analyzing content. Another way to grow your business using social media is analysing what is working, what has worked for your competitors and draw a source of inspiration from them. On top of that, since social media for business is no longer optional, you need to be prepared for worst impression from customers, blackmailers and blunders directly or indirectly from you.Use the search engines to identify top leaders in your niche. Having collated a list of them, you can go ahead to extract their social media profile, visit their website and finally get their social links/profiles. 5. Engage users and build a community. With enough followers of your brand or business, your need to push your social media profile a bit higher by inspiring your followers who in turn will do the advertising of your business for you without paying a dime. For instance, the publicity Elizade Toyota Nigeria Limited has today did not come just as a result of their advertisement. The benefits of building a community and engaging your users includes discovering how to have quality followers, assess their interest, and attract a lot of likes on your page.Elizade Toyota Nigeria Limited has successfully built a community for users of their product and services. They inspire them and also provide incentives. In like manner, for your business to grow via the social media platform, you need to engage your users who in turn would be your brand ambassadors who will do the advert on your behalf. 6. Track and assess your social media presence. Having done all the above, you and your social media manager would then need to track and measure your results either monthly or quarterly basis. You can choose to use either free or value-priced analytical tools to help analyse your social media strategy. The most prominent one has been Google Analytics, Moz, Hootsuite, among others. You can also make use of a social listening tool, like Brand24, which afford you the opportunity to improve many areas of your online presence. Furthermore, a social media monitoring software would also help collate relevant data relating to your business, like your company or product name, among others.